As November comes to a close, I can genuinely say – what a busy First Marking Period! Conferences went well, despite the snow. Our Thanksgiving Feast was a tremendous success. We had members from several of our parish groups and many parents who donated turkeys and their time. A special thank you to Mrs. Derevenska, Mrs. Fizer, Mrs. and Miss Pryszcz, Mrs. Prosch-Mitchell, Mrs. Palhais, Mrs. Zingariello, Fr. Chendorain, Mr. and Mrs. Leon, Mr. and Mrs. Moser, Mr. Perez and Mr. Vasquez. Thank you for assisting in keeping this special ACS tradition going. This coming weekend is the busiest time for our school. It is the BIGGEST fundraiser we have and truly requires all of us to pitch in! BAZAAR ASSIGNMENTS – All assignments were sent home – Not sure where you are working? Call Allyson 732-887-2800 or Mrs. Shumny 732-343-0750 ASAP! Sunday, December 2, 2018 – make sure you sign in! We will have a fabulous Bazaar weekend! See you there! I want to share that Mrs. Vattelana, our seventh grade teacher, has accepted another position at another school. We wish her the best for her years of service at ACS. We pray that God continue to guide her journey as a Catholic School educator and wish her much success. I have already begun the interview process and ask for your prayers. Parent Teacher Conferences TODAY: Parent teacher conference is an opportunity to discuss your child’s progress with their teacher. It is a vital interaction where your student’s academic plan is discussed and expectations are set for the next marking period. BAZAAR – I need some help! Everything is in full swing – stay in the loop. The FSA could use any new items you may have that you don’t want or need. Any donation from candles, kitchen gadgets, to wine bottles and dishes would be greatly appreciated. BISHOP AHR COMPETITION – WAY TO GO ACS! ALL DID A FANTASTIC JOB! If you have any questions or concerns please let us know. Have a wonderful Friday and weekend! BAZAAR – I need some help! The FSA could use any new items you may have that you don’t want or need. Any donation from candles, kitchen gadgets, to wine bottles and dishes would be greatly appreciated. Parent Teacher Conferences: November 15th Parent teacher conference is an opportunity to discuss your child’s progress with their teacher. It is a vital interaction where your student’s academic plan is discussed and expectations are set for the next marking period. High School Placement Test: This Saturday, November 3 at 7:45 am. Please don’t be late! Your ACS teachers, principal and friends wish you the very best and ask that God give you the knowledge and confidence to do your very best. It has been a very busy October so far. I have outlined important dates, Club information and our FSA happenings – please look at our calendar online to keep up with everything that is going on. As teachers are challenging your student in school, I beg for your support. Check REMIND and their planner and make sure homework is being completed. Are they having trouble? Email their teacher and together lets figure out why. Encourage your child to read every night and practice their math facts. Even 30 minutes a night increases vocabulary and builds confidence. I encourage you to look through your child’s folders and ask them questions about what they are learning. It is easy for us to get wrapped up in our adult responsibilities and simply forget. We thank you for trusting us with your children and look forward to ending the first marking period on a high note. Give us a call, send an email or schedule a meeting – we are here to guide your child’s success! Any questions or concerns, please call me. Together with the Ukrainian World Congress and other organizations, we took time to remember the victims of the terrible tragedy in the history of the Ukrainian people – the Holodomor – the Genocide of 1932-1933. For 85 days before the International Holodomor Memorial Day on November 24, 2018, a candle will be lit daily in a different part of the world uniting Ukrainians and friends of Ukraine in remembrance of the innocent victims of the genocidal policy of the Stalin regime, while raising awareness of the issues of human rights, respect and tolerance. Today, during our Divine Liturgy our students sang and prayed. The eighth graders read the names of the 85 children who died and each student placed a single stalk of wheat in front of the Blessed Mother. Special petitions were added during the Liturgy and it was a beautiful memorial service. Thank you to all the teachers and students who participated but especially to Mrs. Hila for organizing this event. Welcome to the 2018-2019 school year! We are excited to start this school year with several new staff members, two new teachers and many new students. We welcome all to our ACS school community. I hope everyone had a wonderful and relaxing summer. Although our facebook page was a little quiet this summer, our building was not. We painted the pre-k, third, fourth, fifth and seventh grade classrooms and replaced the ceiling tiles in three of them. We have brand new carbon monoxide detectors throughout the building. Our janitors also worked diligently to shine the floors, polish the desks, and to continue to keep our building clean and welcoming. We have also updated our Network Access Points to accommodate all the new chrome books – super excited! A huge thank you to all who came to help us this summer. Back to School Night is next Thursday – PowerSchool log in information will be given at this time. Newsletter day will be Fridays for this year. Newsletter (paper) will go home every other Friday with your child. School Calendar and Menu is available online-paper copy will go home at the beginning of the month. Aftercare pick up is at the front entrance. Our two administrative assistants are Mrs. Kwiecinski and Mrs. Gochel. Please feel free to call the office if you have any questions or concerns. We look forward to a successful, challenging and productive school year! Have a wonderful weekend! Welcome June! We are down to the last couple of weeks of school – we’re almost done! This is my last official Newsletter for the 2017-2018 School Year. First, the fire drill we had this week was our regularly scheduled fire drill. Tuesday’s Lock Down and Shelter in Place were due to a student threat received at Shull School. I know many different versions of what happened at Shull School are circulating on social media and only the Police Department has all the facts. 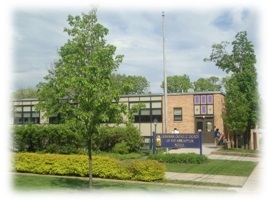 We, at ACS, take every notice from the Perth Amboy Police Department with the upmost seriousness and act according to our Emergency Plan – we did exactly what we have outlined in this type of situation. Our student’s safety is our number one priority. I know some panic set in when parents called the school office and no one answered– please know that we don’t pick up until the lockdown is over. I sent the school wide REMIND to keep everyone informed and I hope this helped. I am happy that no one was hurt in our neighboring school and that the Police Department acted quickly and God watched over all. These are turbulent times and we have to be ready and vigilant. I thank my teachers for being calm and following our protocol. Any questions please give me a call. Second, a very special thank you goes to Mrs. Pickering and the 8th graders for organizing Field Day. All our students had a good time and our 8th graders did an amazing job coordinating the activities. Third, 2018-2019 calendar is attached. Lastly, I invite all our friends and family tomorrow, June 8th to celebrate the Liturgy with us at 8:45am and then come back to the school for a presentation to our Sister Thomas and Sister Yosaphata. We have a surprise . As May comes to an end and we welcome the month of June, please make sure you follow our new calendar on the ACS website. There is truly a lot going on. In addition to the end of year activities, we are in full gear with planning for the summer months. Our maintenance plan includes painting three classrooms and replacing the ceiling tiles as well. We just had major cement work done near our aftercare entrance and YES we are replacing the door bell! Our SMART board for sixth grade is ordered, Professional Development days are planned and we are busy planning out our 2018-2019 school calendar which will be sent home with the summer reading list by Monday. We want to wish Miss. Salamon the very best as she embarks on her new journey. We also want to congratulate Miss. Hucul on her wedding this Sunday, June 3rd. God watch over our teachers and their lives. Our summer hours: Tuesday, Wednesday and Thursday 9:00am to 1:00pm and evening tours by appointment – call Mrs. Shumny 732-343-0750. As you can tell things are not slowing down at ACS! Please call the office if you have any questions or concerns.